1010 Dover Road, # 01-178V, 139658, Singapore. 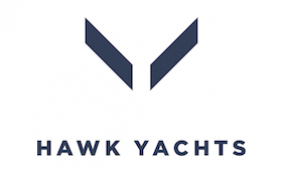 Hawk Yachts is a design and development company for Superyachts that have both prestige and functionality, capable of long range voyaging to the extremities of the world’s oceans both polar and tropical. Hawk Yachts market these yachts to both commercial and private clients and have introduced shared yacht ownership through a fractional scheme. We are also consultants for other projects involving expedition.